My dad is currently in the hospital and his birthday is this Saturday. I made this card and am hoping it cheers him up. What a great image and great card. Awesome coloring. Sorry your dad is in the hospital! Here's to a quick recovery! The card is a hoot-nice sewing! Cute Card, Gale. Hope your dad makes a speedy recovery. Hope your dad is feeling better! This is a GREAT card for him, though!! Gale, I hope your father is doing better! This card was sure to lift his spirits ... fabulous card! Great job coloring your image! Hi Gale! Sorry I haven't been by in a while! This card is fabulous- hope your Dad is feeling much better and that you're doing well! I'm sorry to hear about your father. 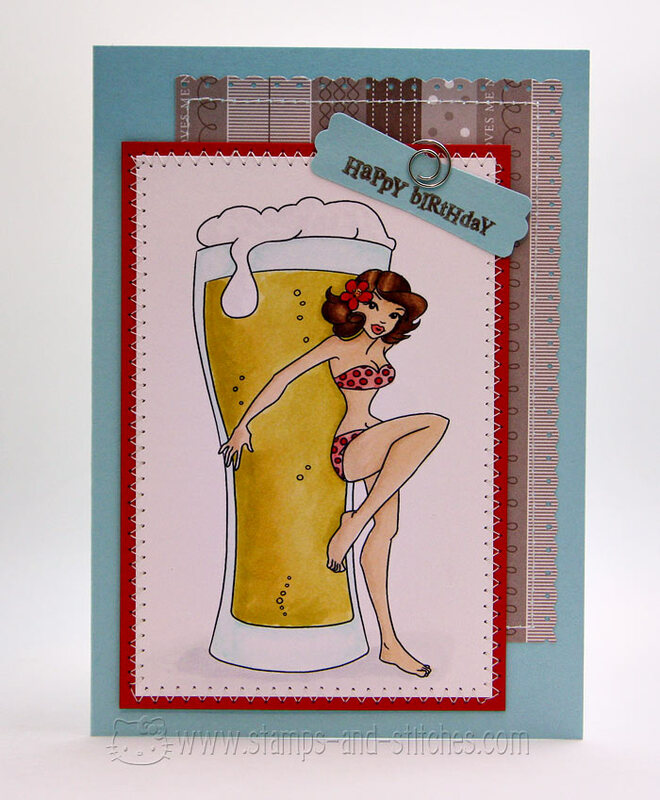 I'm sure this card will cheer him up - it is a perfect image. Your coloring is wonderful. Sending well wishes your way. I'm sorry to hear your dad is in the hospital. I hope he gets better soon. I know your card will cheer him up. Great coloring! So cute, and fabulous coloring. Gale, Love your blog! You have some great Silhouette projects! I'm sure your Dad got a kick out of this card! Hope he has a speedy recovery.